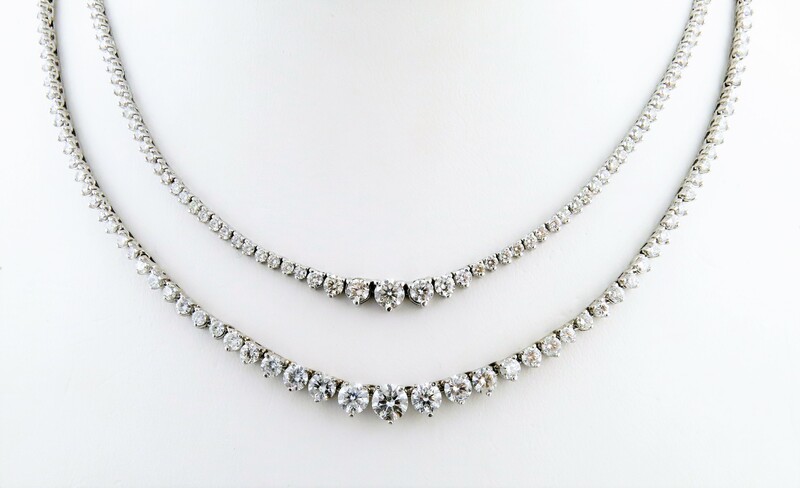 Glamorous 14kt white gold necklace with graduating round brilliant cut diamonds. 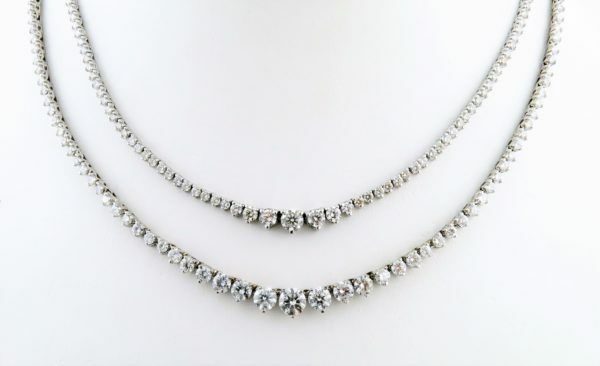 In stock, 5.50 carats and 7.00 carats total weight necklaces are available. Different sizes and metal choices can be made. Please contact us.